Paris is a city I’ve wanted to see for as long as I can remember. When I finish uni in May, I’ll be visiting for a long weekend with my friend Liv. 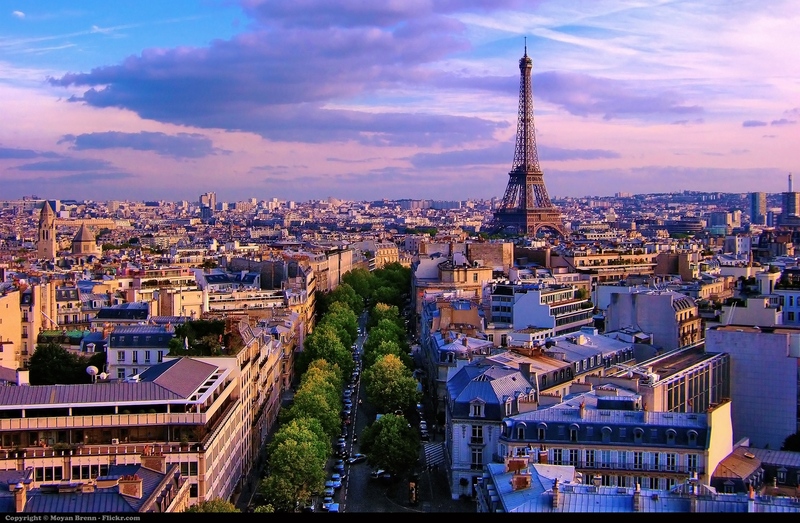 I’ve found myself constantly daydreaming about the sights, the food and all things French – I can’t wait. As I’ve never been before and my French is, how do you say, n’est pas bon, I’ve been consulting travel books and blogs to get an idea of what I want to do while I’m there – I’m certain it will involve lots of croissants and cheese and wine. We’ve just booked a gorgeous little Parisian apartment in Oberkampf through Air BnB (there are so many amazing places to stay, it was a struggle to pick just one…) We were originally staying in a hostel in Gare du Nord, but we found it actually worked out cheaper to get our own apartment, rather than share a room with strangers in a hostel… Logic? This new place is close to transport links for the tourist spots, surrounded by a variety of restaurants and of course, there are plenty bars to stagger home from after one too many cocktails. Making an itinerary is always important for a short trip, but once I’ve seen the main tourist attractions, I love just wandering aimlessly round a new city and exploring the backstreets – even if it does involve getting lost, frustrated, and wanting to rip your map into tiny pieces. I’m looking forward to rummaging in the boutiques and thrift shops, and I know Liv, my fellow bargain hunting, vintage loving companion will be just as eager to scour some rails with me. I’m so excited to see somewhere new and please let me know if you’ve found any hidden gems you can share, especially if you know the area well. Of course, I’ll be posting about our adventures when we return. Very jealous that you are visiting Paris in May, I want to go so badly! You will love it! I have been there twice (I studied abroad in Italy) and fell in love with the city. I recommend the Lourve, Galeries Lafayette for some window shopping, Notre Dame, The Centre Pompidou (if you like modern art) and the surrounding neighborhood, and Versailles if you get the chance!